Benefits to being a part of the team. I am doing a bunch (I mean, a bunch) of planning to get the BOGO sale planned (more details to come on Tuesday’s weekly highlights), the DIY class at Desert Rebel, Card Class, VIP Event, and the New Catalog Open House. All of these are happening in May! There is an order going tonight at 7:30 pm. If you would like to help Jodi earn free product then either use host code SXRN3VAW or contact me before tomorrow evening. It’s Sale Saturday! While there is not much on sale since Sale-A-Bration is over there is quite a bit still on the Clearance Rack. Do you know how to find the Clearance Rack? 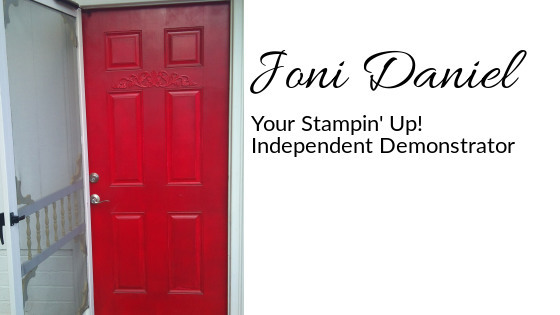 Simply go to http://www.jonidaniel.stampinup.net and click on shop and then clearance rack. Since there is not much on sale I will remind you that the older In Colors will be retiring. Stock up on your refills and card stock now. If you would like to order online please use host code SXRN3VAW to help me finish re-stocking the rewards basket. If you prefer to order in person please contact me. This host code will be good until 7:30 pm on Monday. Last day for the Gem Show! It’s Sale Saturday! Today is the last day of the Gem Show! Come by to get a mini Easter basket, a handmade card, an emergency kit, paper by the pound, and discounted stamps! If that’s not enough for you there is an order going in tonight! Please use host code J9F3PK7T to help me re-stock the rewards basket. If you prefer to order in person simply email, message, text, or contact me. As I am at the Gem Show please call my cell phone at 760-362-3995. I am here to be your creative coach and to help you get your fingers inky! I sell supplies, organize crafting classes, and accept custom orders.